Mazars first established in Galway in 2004 and its new office, spanning 6,000 sq. feet, is located at Mayoralty House in Galway city. The office move has come as a response to continued growth within the business and recruitment has begun to fill the new positions in the outsourced accounting business. 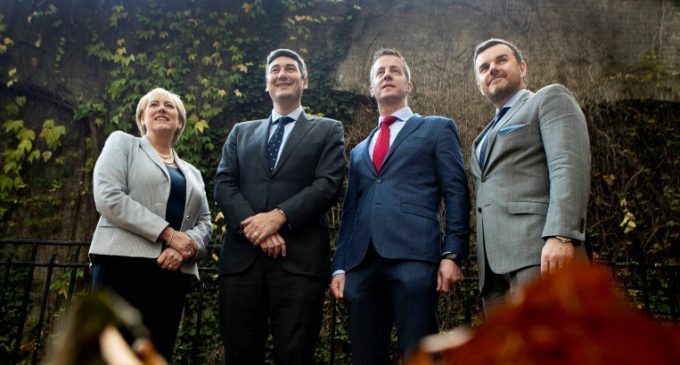 Pictured are Minister for Business, Enterprise and Innovation Heather Humphreys TD; Mark Kennedy, Managing Partner, Mazars; Austin Sammon, Audit, Advisory &amp; Outsourcing Partner, Mazars Galway; and Shane Nolan, IDA.